“Copy of reality” or “Perception of reality”? 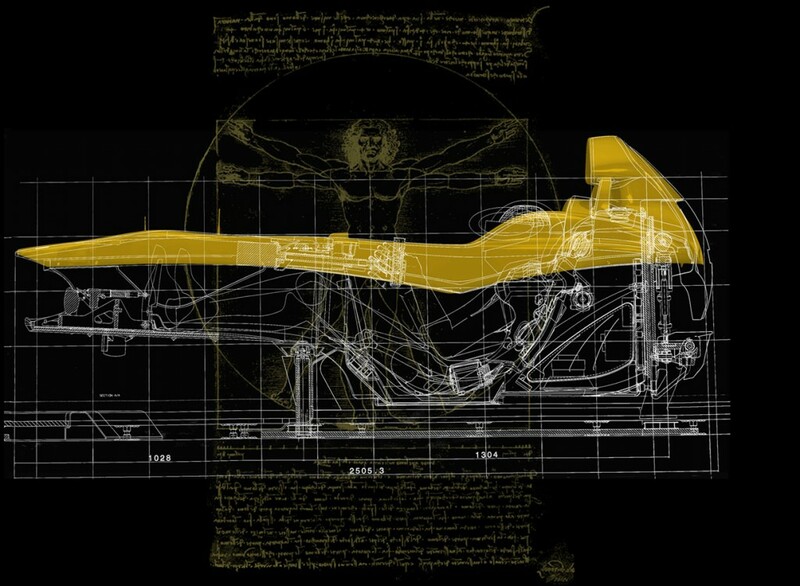 the designing of simulators essentially is based on this two ways of thinking: the first one works through immense and expensive technological structures, whereas the second one takes advantages of scientific knowledge about medicine and psychophysics and especially about sensorial body human limits. In this case the technological research of electronic engineers and mechanics support the scientific research of expert doctors. Taking advantages of some sensorial organs imperfections is possible to create a place where the body can sense motions in every direction being practically stable or moving just in a few centimeters. Here comes the beginning of what is defined “The intelligent trick of simulation” but we prefer to call it “The art of simulation”. The way our body feels the space is a function of the way our brain read signals that come from sensorial systems like sight, hearing and touch. Receptors ( structures of human body that collect stimuli) work in a parallel and complementary way, but when they are taken individually they show relevant limits. Eyes give more than two thirds of sensorial information. Only sight information are not thorough for movement perception, the eye can’t distinguish if one movement is relative or absolute: the classic example is when from the window of the train we see another train moving, it’s hard to know if our train is the one that is moving or is the one opposite us. The missing information for the solution come from the vestibular ear system ( the balance organ sense ) and through the touch system. The vestibular system is really rapid, but it’s got a limit. In fact it’s predisposed to hit back at rapid and short accelerations and it’s deceived by the long and unusual ones. Our body uses the vestibular system to maintain the perceptive and postural stability, so much that for the erect position, the coming information from vestibular system are primary compared with those from the sight system. The system remains silent to a movement under the threshold of about 2 degrees per second and in this range the movements are not sensed from our brain. The touch system has, this time, complementary features from vestibular system: even whit a prolonged and constant stimulus, the apparatus keeps spreading until the end of the stimulus. Evotek has undertaken with coherence and rigor the way of thinking united to perception of reality, where the fundamental principles , complementary between them, are the reactivity of the system in perfect synchrony with the visual display and the use of specific auxiliary devices. 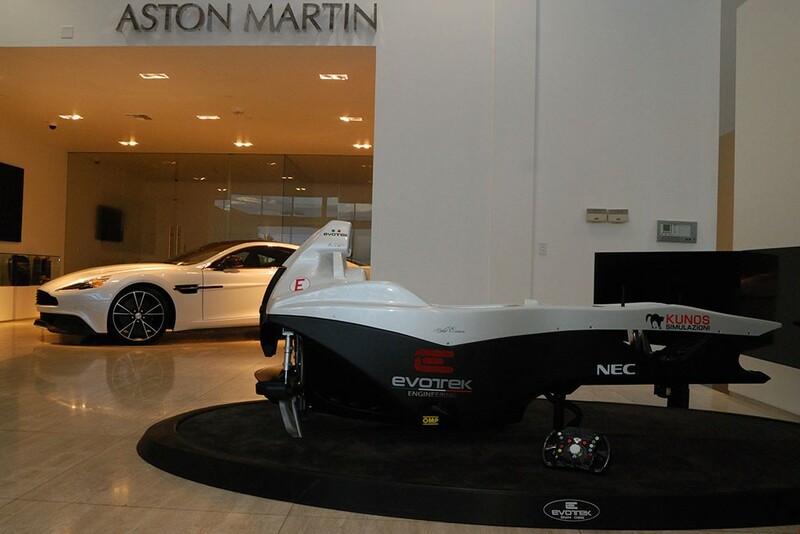 Based on the technical competences derived from a know how assimilated in more than 20 years of design and experimentation on Formula One tracks all over the world ad activating collaborations with medic and scientific space, Evotek has developed new platforms of Evotek Sym simulation. The result is a simulator realized pursuant to the extreme rules of Formula 1, dynamic on 3 rotational degrees ( roll, pitch, yaw), where the lightness of masses in movement guarantee real time performances and devices for the increased reality as: active seatbelt, vibrational system, sound system, brake pedal feedback and g-seat ( currently in experimentation phase), they supply a captivating realism, stimulating in a focused way different sensorial apparatus. The rigor and the coherence of the whole project are spotted not only in the innovative planning choices but are also spotted in design and details of individual components, all rigorously drawn and built in Evotek laboratories.